Wow! I finally have internet again! 5 days without pretty much did me in. Anyhoo, the challenge over at the Outlawz - Saturday Paper a la Mode Challenge this week is to use something old that you have never used before. How fun! We got to dig into our stashes for this one. Even though my posting on here is late, there is still time to join in. There are some fab prizes up for grabs, so please come check us out. My card was given to my son for his birthday. The stamp and the skater boy stamp and the papers have been in my collection for at least a couple of years. The stamp is a bugaboo image from stampaliscious. The papers are so old that I am not sure anymore. I want to say My Mind's Eye. I also included some MFT dies that are getting to be my favourites and a CAS-ual Fridays stamp as well for the greeting. The image is stamped in Memento Tuxedo Black and colored with Copic Markers. Hello, Katherine! Love your card! I love the boldness of this design! The colors are intense and every element is just screams "male wheelhouse." Very nicely composed, executed and presented! 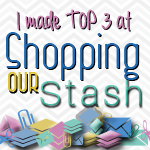 Thanks for playing along with us at Shopping Our Stash! I love this card inside and out. Fabulous coloring on this image too! Thanks for joining us at The Squirrel and The Fox. What a cute boys card. Wow, this card is so cool! 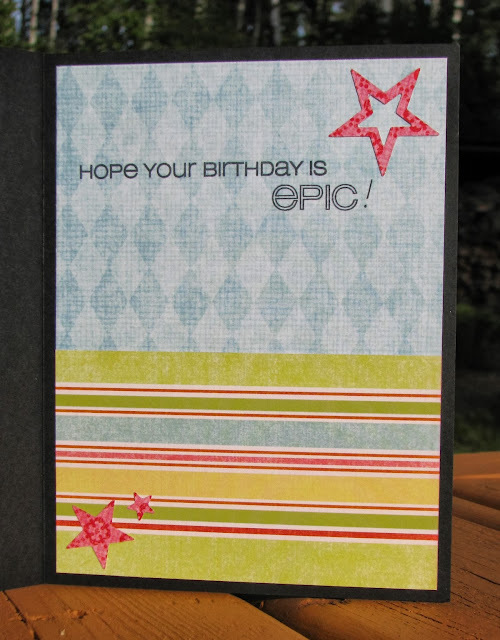 I love the die cut of the happy birthday. I think I'll have to get my hands on that die. Thanks for playing along at the Crafter's Cafe Challenge & good luck! Awesome card Katherine! The image, the layout and your beautiful coloring. How fun! Thanks for playing with us this week at The Crafter’s Cafe Challenge Blog! Hope to see your work in our next challenge! 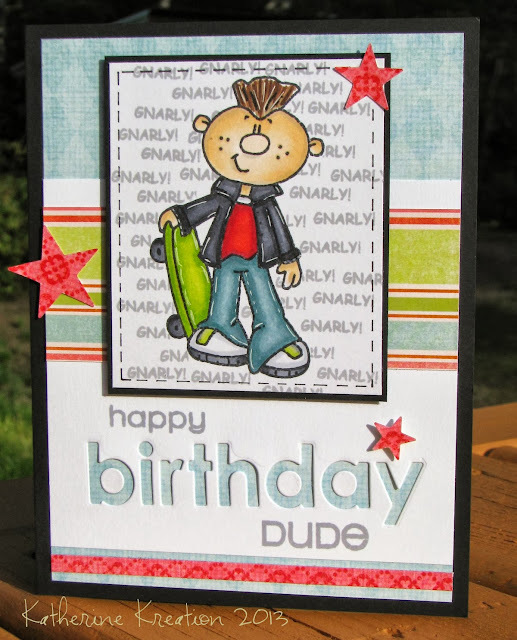 great boy card! Love the inside too!